Kolkata (West Bengal) [India], July 18 (ANI): Indian fast bowler Mohammed Shami has been summoned by Kolkata's Alipore Court in connection with the cheque bounce issue filed by his wife Hasin Jahan. 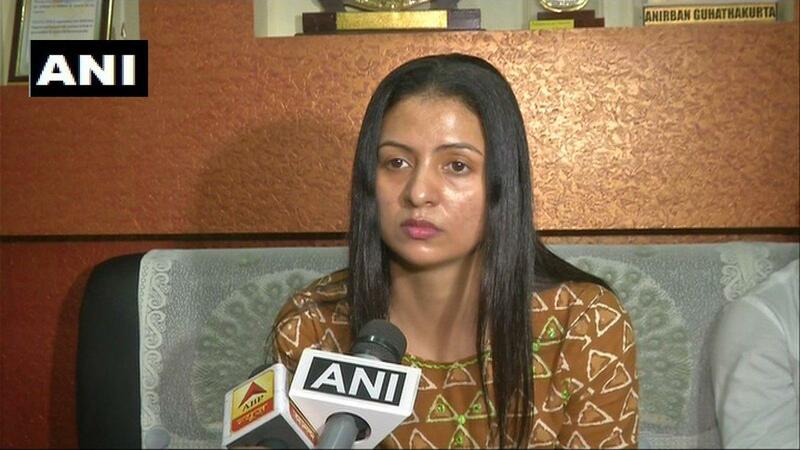 Kolkata, (West Bengal) [India] July 12 (ANI): Estranged wife of Indian cricketer Mohammed Shami, Hasin Jahan is all set to play the role of a journalist in an unnamed Bollywood film. Kolkata (West Bengal) [India], April 10 (ANI): Fast bowler Mohammed Shami's wife Hasin Jahan filed a domestic violence case against him and others in Kolkata's Alipore Court on Tuesday. New Delhi [India], March 31 (ANI): Mohammed Shami estranged wife Hasin Jahan has now knocked the doors of Delhi Daredevils CEO Hemant Dua, asking him to bar the Indian pacer from playing in the upcoming Indian Premier League (IPL). New Delhi [India], Mar. 27 (ANI): Mohammed Shami's estranged wife Hasin Jahan, who was in Delhi to meet the Indian pacer, on Tuesday alleged that Shami not only refused to see her but also threatened her. New Delhi [India], March 27 (ANI): Mohammed Shami's estranged wife Hasin Jahan is in Delhi to meet her husband post his road accident. New Delhi [India], March 22 (ANI): Board of Control for Cricket in India (BCCI) acting president CK Khanna on Thursday said that he and the entire board were confident that Indian pacer Mohammed Shami would come out clean over the allegations levelled by his wife Hasin Jahan. Mumbai [India], March 22 (ANI): In a major relief to Mohammed Shami, the Board of Control for Cricket in India's (BCCI) Anti-Corruption Unit has given a clean chit to Indian fast bowler over the allegations levelled by his wife Hasin Jahan.